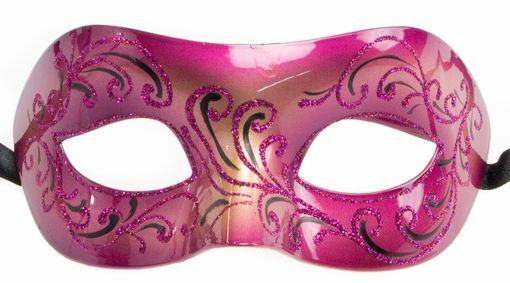 La Bonai Masquerade eye mask in pink is hand painted with a high gloss finish. This mask has black ribbon ties and comes in 6 different colors. size of mask is 8"w x 3"h.